Are your chakras out of alignment? Don't worry because Deb Baxter is here to help. 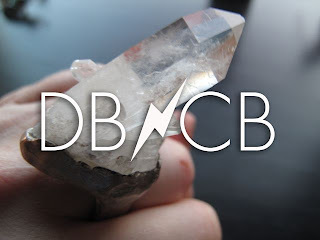 For the next five days, she's having a sale on many of her gorgeous crystal necklaces over at her wearable sculpture site Debra Baxter : Crystal Bomb. Maybe you're worried about being poisoned? 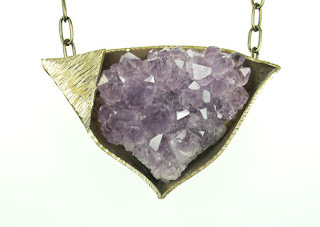 You can rest easy if you're wearing this amethyst neckpiece for protection. Deb says it can also be worn for protection from self-deception. Whether you're a practitioner of crystal healing or not, you'll feel--or at least look--better just by putting one on. Thanks Joey...To be honest. I don not know if I believe everything crystals a claimed to "heal". But I love reading about all the possible ways to gain power with rocks!